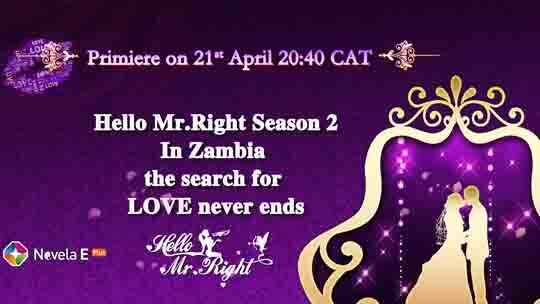 Air Date: Every Sunday 20:40CAT Novela E Plus Hello Mr.Right S2(Zambia Edition) is an exciting show that allows you to find the partner. Here you can show your talents, your passion ,and also you stand a chance of winning great prizes!! !